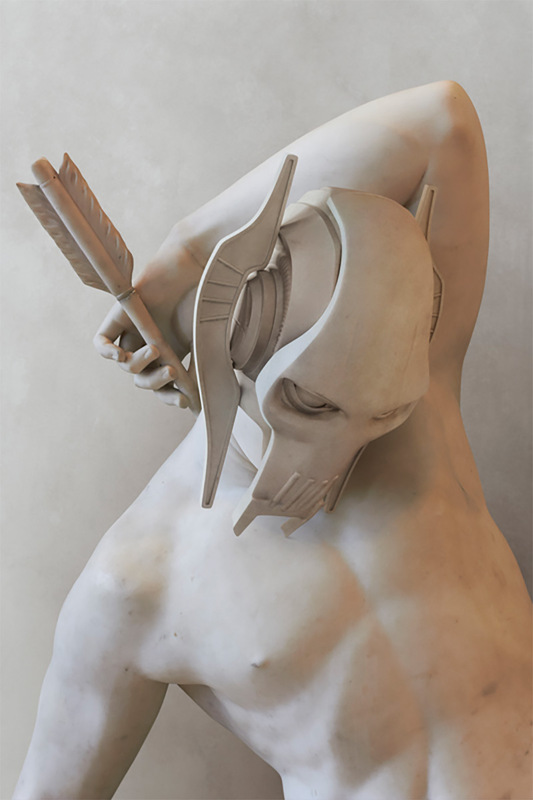 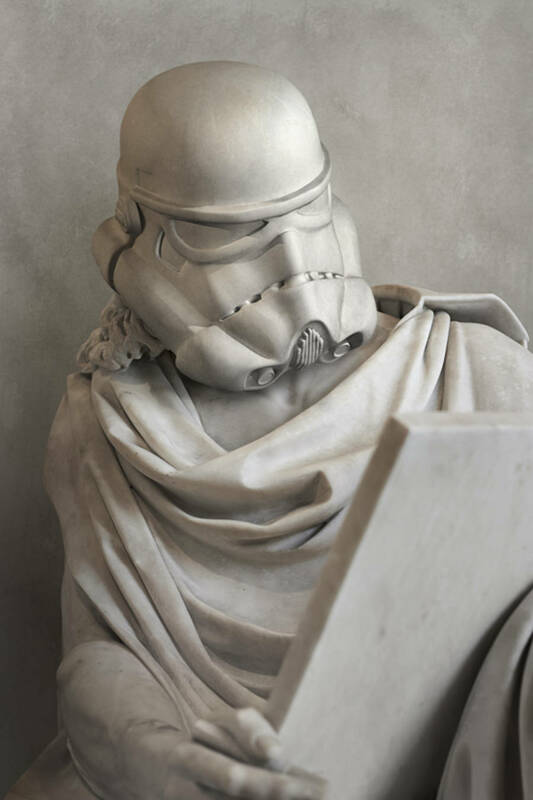 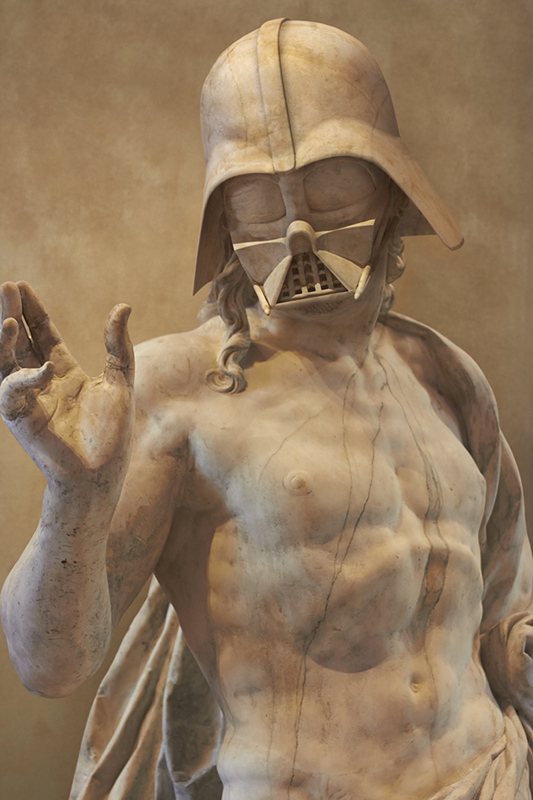 As a variation on the theme, french artist Travis Durden has imagined a mashup of star wars characters and ancient greek statuary. 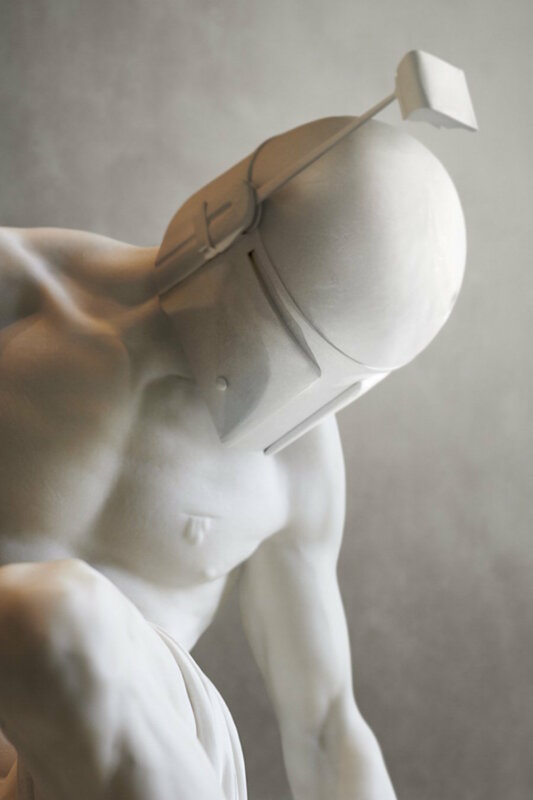 Based on forms he found in Paris’ Louvre museum, Durden has digitally sculpted a series of five figures, each bearing the armor or facial likeness of a one of the film’s fictional personalities. 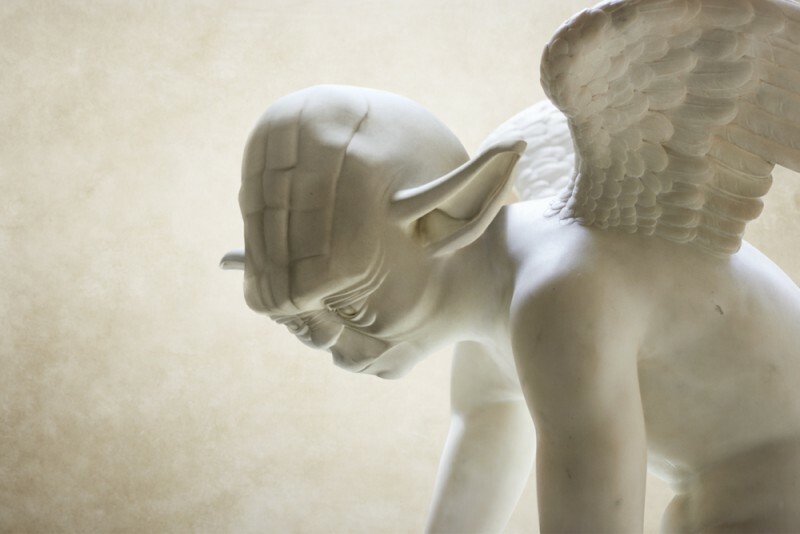 From a cherub-style Yoda to a philosophical Stormtropper, the faux-marble figures offer a seamless synthesis of contemporary culture and classical sculpture.